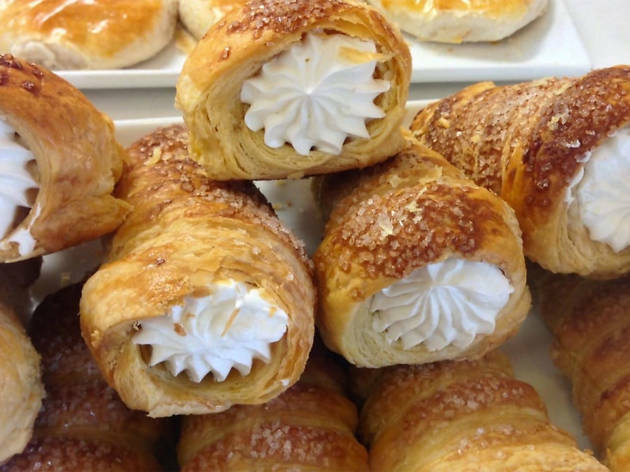 Located on the outskirts of a small shopping complex in Monterey Park—and, ironically, right next to an LA Fitness—Jim's Bakery offers some of the best egg tarts in the San Gabriel Valley. 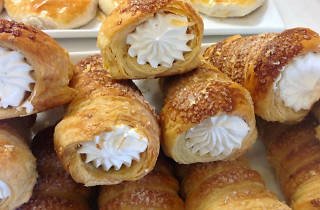 Light, flaky and luxuriously creamy, they come in at a reasonable $1.35 (read: stock up on a bunch). The Po tart, short for Portuguese tart, is just as decadent, with a brûléed top and an even sweeter center. Shelves inside the compact bakery hold packaged breads and cookies, along with Jim's signature honey walnut tarts. Snag a Muay thai mango smoothie to go along with your haul of carbs (and be aware that there's an $8 minimum on cards).